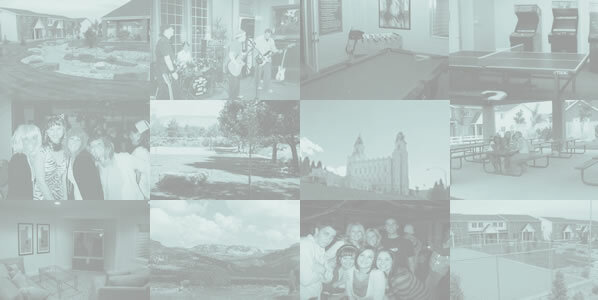 Last fall SUU (on and off campus housing) was 300 beds short for students that attended the University. The school worked through local church organizations and was able to place these students in private homes where families have extra rooms. We have been asked by SUU not to rent out private suites as the housing crisis will be more severe this year based on the applications that have already come in. 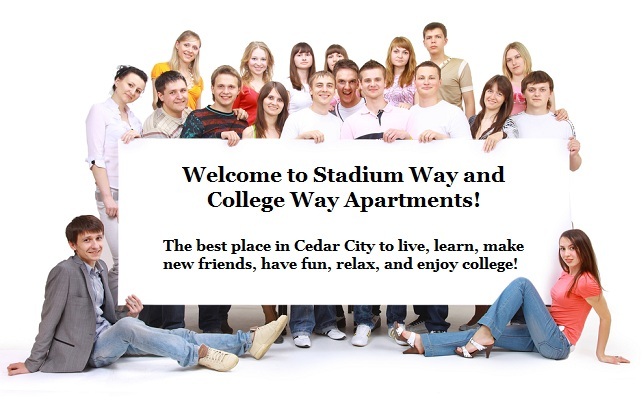 We are only renting shared rooms with roommates this year at Stadium Way and College Way plus the small private rooms we have which are only at Stadium way. We have therefore significantly increased our rates for private suites for this fall to discourage anyone from renting one. If you want a private suite you will find one cheaper at another complex that may still be renting them out or that is renting out larger single rooms than we have. We advise you to do that and make your fall reservations where ever you decide to stay as soon as possible. Like this last fall, if you wait to make a housing decision you may find that there is no student housing for you to live in. We contemplate this is a temporary situation. And when it is over we will start renting out private suites again and more reasonable market rates. The apartment complex offers an indoor/outdoor hot tub, sand volleyball pit, park with picnic table and barbecue grill, clubhouse with tanning beds, Big Screen TV room, pool table, foosball table, and vending machines. Most of these amenities are located at the Stadium Way complex. College Way Tenants have full use of the amenities. College Way is located 1 block from Stadium Way. Every apartment has a full-size washer and dryer. FREE CABLE TV AND WIFI!